Crypto Invest Summit produces world-class experiences, events and initiatives that promote responsible investing and mass-adoption of blockchain technologies. CIS provides a platform for the blockchain industry that fosters exposure, education, collaboration, sustainable investing and development. The WomenOfCrypto Organization invites you to attend a panel discussion on Community, featuring our Co-Founder and CEO, Alison Burger. 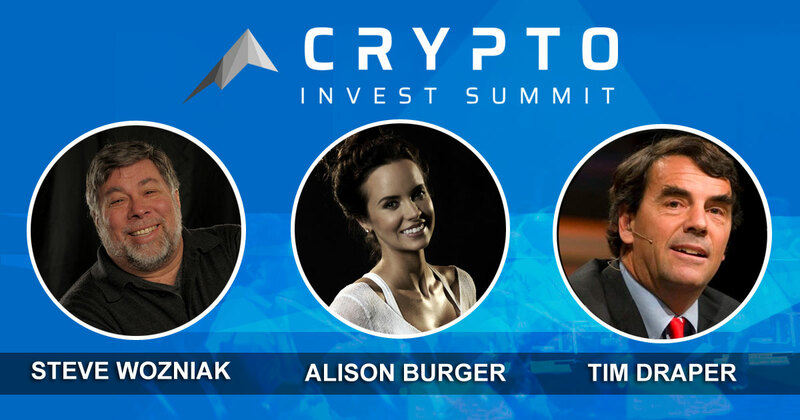 The panel discussion is held on Monday 10.22 on the main stage at Crypto Invest Summit. Building community from vision to launch and beyond: Blockchain Adoption and strategies for growth. How to attract customers, inspire mass adoption and build quality community around your product. Alison Burger is Co-Founder of the Women of Crypto Organization, a movement to include more women in blockchain/crypto and create a better world by challenge the status-quo and sharing a more diverse viewpoint. Alison is an Emcee and speaker, community builder, wellness advisor, and blockchain enthusiast. Previously, Alison spent 5 years in public accounting at the Big 4, where she obtained her CPA license. She then spent another 3 years in litigation consulting specializing in forensic investigations and audit malpractice, where she obtained her CFF license. After leaving corporate accounting, she started her own accounting practice in the wellness industry, and simultaneously created a non-profit mindfulness event series locally in Los Angeles. She then founded an experience design and curation consultancy to support brands in architecting community through engaging programing and live events. Alison obtained her Bachelor’s in Accounting, Bachelor’s in French, and her Master’s in Accounting and Financial Management from the University of San Diego.